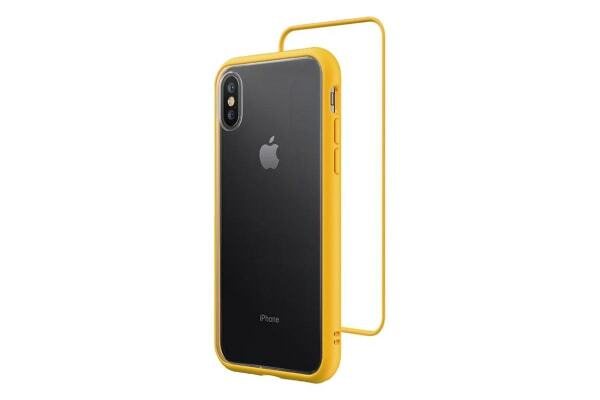 The RhinoShield Mod NX for iPhone XS Max gives you the flexibility of switching backplates to suit the season or occasion. Pop out a backplate and replace it with a rim and you’ve got a bumper case. The RhinoShield Mod NX for iPhone XS Max is the thinnest and lightest protective case you can find. The vivid newly designed backplate has improved scratch resistant capabilities and the updated locking mechanism gives a better fit. Mod NX cases have no-wobble sides and virtually no gap between frame and rim/backplate.